Bhubaneswar: The 34th Ekamra Walks brought the energy and enthusiasm level to a new high today for heritage lovers in the Old Town area of Bhubaneswar, with participation of a record number of 160 guests, so far, to explore the monument and age-old traditions in the Ekamra Kashetra, as Bhubaneswar was known, in the ancient literature. 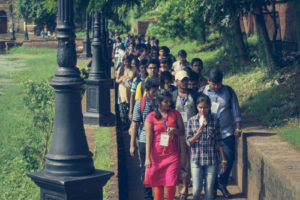 While a 15-member team arrived from University of California Santa Cruz (UCSC), US, including their faculty and staff, Indian Institute of Technology (IIT) Bhubaneswar students made the heritage walk another milestone by joining in large numbers. 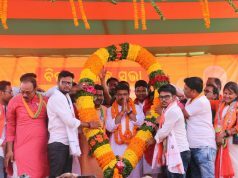 There were 90 people in the IIT-Bhubaneswar contingent. Accordingly, three large groups were formed today with three expert guides to make the walk more participatory and exclusive. The students of UCSC will be staying here till September and will work on a project titled “Globalisation, technology and development.’’ They are from social science and natural science background at UCSC. 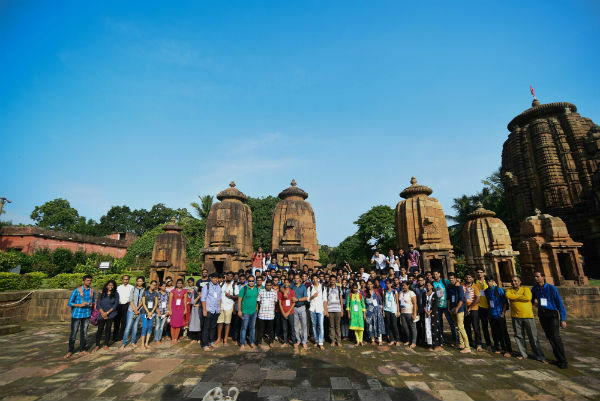 Apart from UCSC, California and IIT Bhubaneswar, 10 students from ICICI Academy for Skills, Bhubaneswar also participated in the 34th Ekamra Walks and made it more memorable. 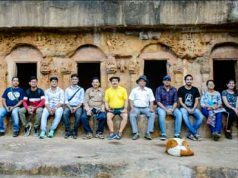 In fact, the institute’s students are continuously participating in the heritage walk and this was their fourth participation. 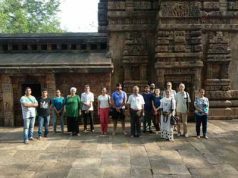 The participants visited Mukteswar temple, Parsurameswar temple, Sampurna Jaleswar temple, Kptitirtheswar temple, Bindusagar, Ananta Vasudev temple, Old Dharmasala, Lingaraj temple, Chitrakarini temple, Sari Deula, Mohini temple, Parikrama of Bindusagar, Vaitaal temple and Ekamra Van. It can be mentioned here that Ekamra Walks is a joint venture of the Bhubaneswar Development Authority, Bhubaneswar Municipal Corporation and Odisha Tourism. De Tour is the tour manager for the event. The heritage tour has a tremendous fan following in the social and on-line media, as well.